Nakagami Y, Kubo H, Katsuki R, Sakai T, Sugihara G, Naito C, Oda H, Hayakawa K, Suzuki Y, Fujisawa D, Hashimoto N, Kobara K, Cho T, Kuga H, Takao K, Kawahara Y, Matsumura Y, Murai T, Akashi K, Kanba S, Otsuka K, Kato TA*: Development of a 2-h suicide prevention program for medical staff including nurses and medical residents: A two-center pilot trial. Journal of Affective Disorders. 2018 Jan;225:569-576. Hashimoto N*, Suzuki Y, Kato TA, Fujisawa D, Sato R, Aoyama-Uehara K, Fukasawa M, Asakura S, Kusumi I, Otsuka K: The effectiveness of suicide prevention gatekeeper-training for university administrative staff in Japan. Psychiatry and Clinical Neurosciences. 2016;70(1):62-70. Suzuki Y*, Kato TA, Sato R, Fujisawa D, Aoyama-Uehara K, Hashimoto N, Yonemoto N, Fukasawa M, Otsuka K: Effectiveness of brief suicide management training programme for medical residents in Japan: a cluster randomized controlled trial. Epidemiology and Psychiatric Sciences. 2014;23(2):167-76. Fujisawa D*, Suzuki Y, Kato TA, Hashimoto N, Sato R, Aoyama-Uehara K, Fukasawa M, Tomita M, Kashima H, Otsuka K: Suicide intervention skills among Japanese medical residents. Academic Psychiatry. 2013;37(6):402-7. Colucci E*, Kelly CM, Minas H, Jorm AF, Suzuki Y: Mental Health First Aid guidelines for helping a suicidal person: a Delphi consensus study in Japan. International Journal of Mental Health Systems. 2011;5:12. Kato TA*, Suzuki Y, Sato R, Fujisawa D, Uehara K, Hashimoto N, Sawayama Y, Hayashi J, Kanba S, Otsuka K: Development of 2-hour suicide intervention program among medical residents: first pilot trial. Psychiatry and Clinical Neurosciences. 2010;64(5):531-40. 加藤隆弘, 大塚耕太郎, 鈴木友理子, 藤澤大介, 佐藤玲子, 青山久美, 他. 私の診療経験から. こころの応急対応(メンタルヘルス・ファーストエイド) 日常臨床場面における、うつ病の早期介入と自殺予防. 臨牀と研究. 2014;91(2):289-94. 大塚耕太郎, 鈴木友理子, 藤澤大介, 加藤隆弘, 佐藤玲子, 青山久美, 他. 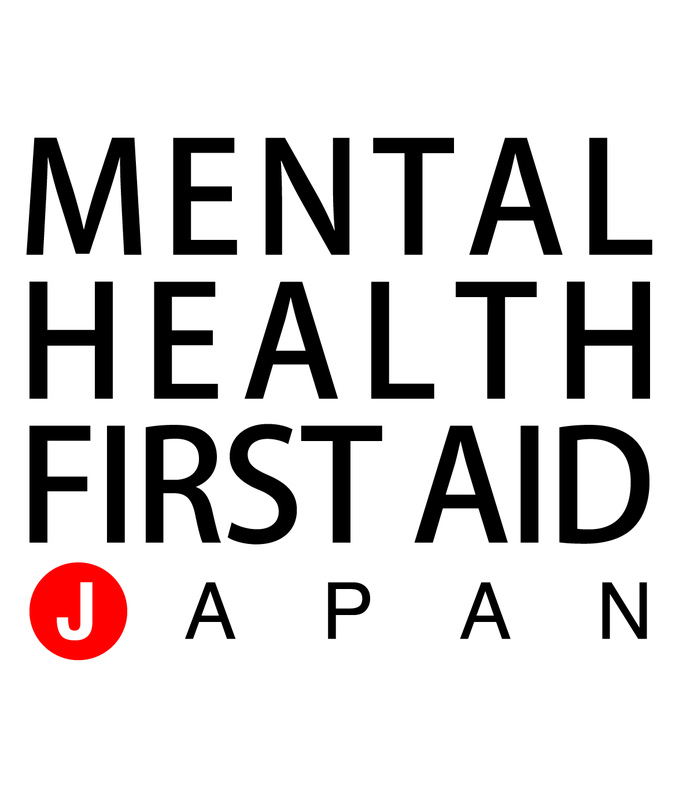 Mental Health First Aid-Japanチームの活動について. 精神神経学雑誌. 2013;115(7):792-6. 鈴木友理子: メンタルヘルス・ファーストエイド　プログラム. 心と社会.2011; 143: 46-51. 藤澤大介: DV被害者への心理介入プログラム－うつと不安障害を中心に. 石井朝子編: よくわかるDV被害者への理解と支援. 明石書店, pp168-178, 2009. 藤澤大介: 子供の自傷行為に対する心理介入プログラム. 石井朝子編: よくわかるDV被害者への理解と支援. 明石書店, pp185-192, 2009. Suzuki Y, Kato T, Fujisawa D, Hashimoto, N, Sato R, Uehara K, Sawayama Y, Hayashi J, Kanba S, Otsuka K: Improving Suicide Intervention Skills among Medical Residents: Adopting the Mental Health First Aid Program in Japan. 2nd World Congress of Asian Psychiatry. Taipei, November 7-10, 2009. Suzuki Y, Kato T, Fujisawa D, Hashimoto, N, Sato R, Uehara K, Sawayama Y, Hayashi J, Kanba S, Otsuka K: Preliminary evaluation of suicide intervention skills program among medical residents in Japan. Singapore, December, 2009. 大塚耕太郎, 鈴木友理子, 加藤隆弘, 佐藤玲子, 藤澤大介, 上原久美, 橋本直樹: 日本語版Mental Health First Aid「こころの救急マニュアル」を用いた危機介入および偏見除去を目的とした臨床研修医・保健医療従事者への教育に関する介入研究. 日本精神科救急学会第17回大会. 山形, 2009.9.11-12. 鈴木友理子, 加藤隆弘, 佐藤玲子, 藤澤大介, 上原久美, 橋本直樹, 神庭重信, 大塚耕太郎: 臨床研修医を対象とした、自殺対応スキルおよび偏見除去に関する研修法の効果に関するパイロット研究. 第105回日本精神神経学会学術総会. 神戸, 2009.8.21-23.